Call for action: if you’re interested to talk / discuss around SAP Solution Manager and SAP Technology, please track me down at SAP TechED 2017 Barcelona. Below, you can find some spots where it will be easy to find me. There will be plenty of SAP Mentors present at SAP TechED Barcelona. 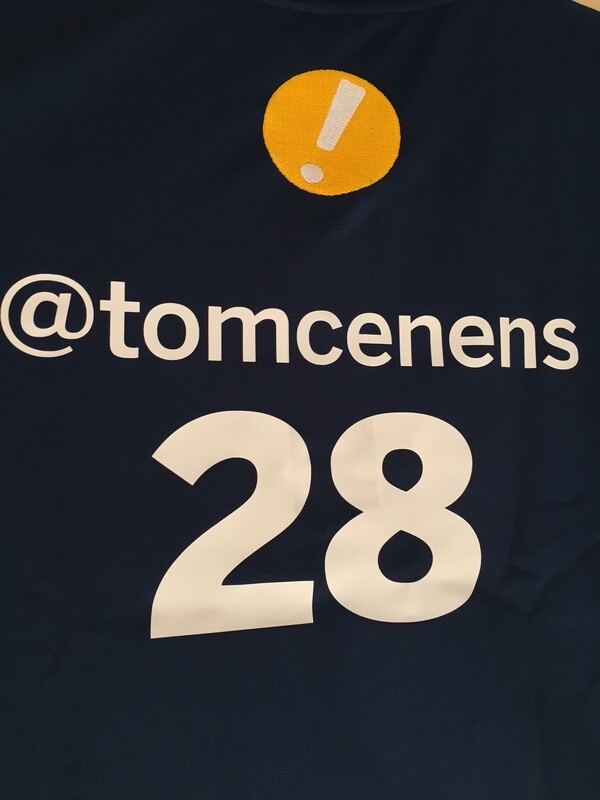 You should be able to spot them in the crowd since we are wearing blue, SAP Mentor branded shirts with our Twitter handle and a unique number on the back. SAP Mentors will be hosting sessions, helping in hands-on sessions and will be present at times at the SAP Mentor booth. Sessions are highlighted in this blog post (not sure if all of them are present, I don’t think so, so also please check the SAP TechED Session Catalog). If you’re curious, why number 28 in my case, I can tell you if you track me down and talk to me. Feel free to just start talking to me, I won’t mind. My main area’s of focus are around SAP Solution Manager (most of my time is spent on this topic) and SAP Technology (my home base and something I still follow up on and even invest time into). I’ve been running around at customer side all year, helping customers out with SAP Solution Manager scenario’s, implementations, upgrades, issues, you name it. Latest implementations (three of them) involved Change Request Management implementations on SAP Solution Manager 7.2. 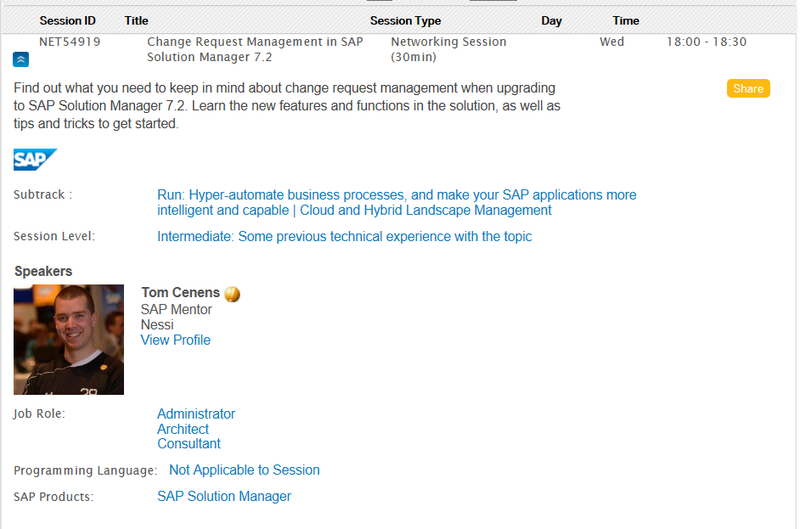 You can find it in the SAP TechED Barcelona Agenda by searching for NET54919 or you can search for my name Tom Cenens and you’ll also find the session. In terms of SAP Technology, I like to still follow up on the latest news around SAP Netweaver technology from a SAP Basis perspective and I’m fond on using Cloud Infrastructure so I’ve been using Amazon AWS Cloud Infrastructure for some time now to run a mixture of system environments on there, including SAP Solution Manager and S/4 HANA. I’ve also gone through SAP Partner Center of Excellence (SAP VAR partner) certification recently so also this is something I can talk about which is related to SAP Solution Manager as well. Don’t hesitate to pass by, no crowd will make us feel lonely real fast so please stop by and bring questions if you them.